Amitabh Bachchan was asked to react on the controversy surrounding Priyanka Chopra’s dress when she met Prime Minister Narendra Modi in Berlin on Tuesday. Amitabh Bachchan steered clear from the issue. 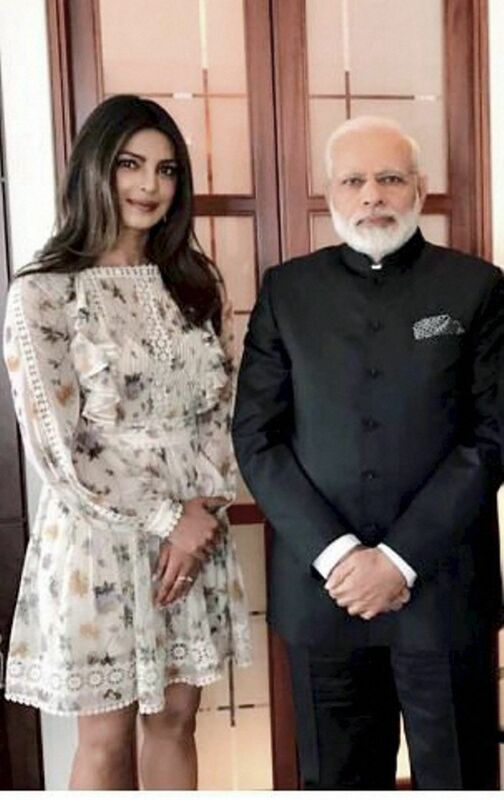 Megastar Amitabh Bachchan said he is not in a position to comment on actor Priyanka Chopra’s online trolling over her dress during her meeting with Prime Minister Narendra Modi. Priyanka had met Modi yesterday in Berlin and she shared a picture on her social media account. However, she faced criticism from some sections, who objected to her short dress and slammed her for not being appropriately dressed in front of the Prime Minister. The 74-year-old actor was speaking at the launch of a single Phir Se, which has been sung by Maharashtra CM Devendra Fadnavis’ wife, Amruta Fadnavis. The song features both Amruta and Bachchan and has been directed by Ahmed Khan. The T-series single has been composed by Jeet Gangulii, arranged by Abhijit Vaghani and written by Rashmi Virag. Priyanka herself gave a sly reply to her trolls by posting a picture with her mom Madhu Chopra, where both of them showed off their legs.